Warm and welcoming 3 bedrooms, 2 bathrooms, fully finished basement, raised ranch, family home located centrally in the town of Hagersville. Convenient 30 minute drive to Hamilton Mountain, quiet, affordable, small town living with all the conveniences you may need!! This lovingly cared for and well maintained home is within walking distance to grocery stores, hospital, elementary and secondary schools, public pool, park and arena - absolutely perfect for the young family. Inside, on the main floor, you will find newer hardwood floors, open kitchen, living and dining area along with 3 bedrooms and full bathroom. 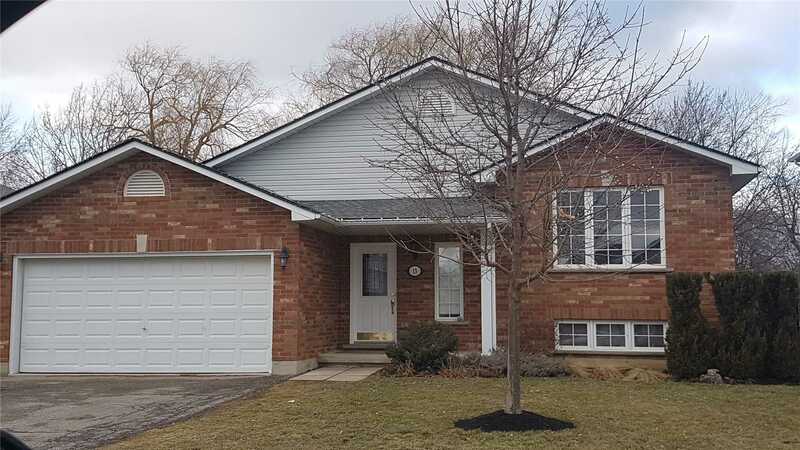 Head downstairs and you will be greeted by a fully finished basement complete with a cozy family room for entertaining, laundry, beautifully tiled 3 piece bathroom, and spacious home gym with adjoining office area. Rubber gym floor, broadloom in the living room and tile in the restroom and office are all on top of a full sub-floor system. The possibilities are endless with the gym and office being easily transformed into an in-law suite or 4th bedroom with walk-in closet. From the kitchen walkout you will enter the backyard with sprawling all cedar deck built in 2017 with upper sitting deck, lower dining area with pergola and step down to the hot-tub/patio area. The backyard is nicely landscaped and set against a backdrop framed by massive ancient willow trees. The backyard has a custom built 10'x10' garden shed with canoe/kayak racks to store your toys off the ground.